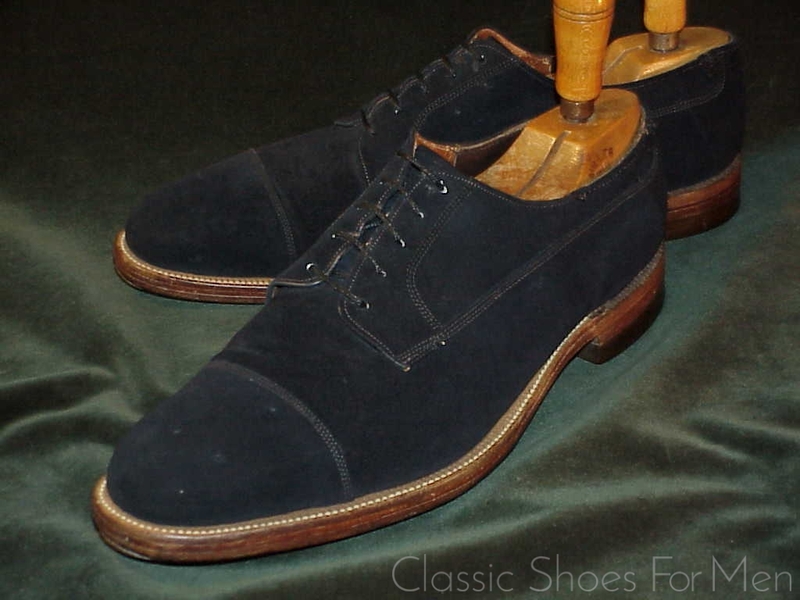 The proverbial “Blue Suede Shoes” of song and story are, stylistically, one of the sleekest designs and come trailing clouds of history. The hand sewn welt gives the impression of a bespoke shoe although it is ready-made, but, custom-made or not, this shoe will never fail to draw compliments. 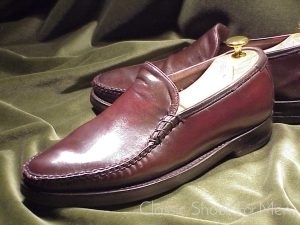 Typical of fine early-century American craftsmanship, with hand-sewn sole and mixed canvas and leather lining, it will be an impressive addition to the daytime wardrobe or to your more playfull evening dress. 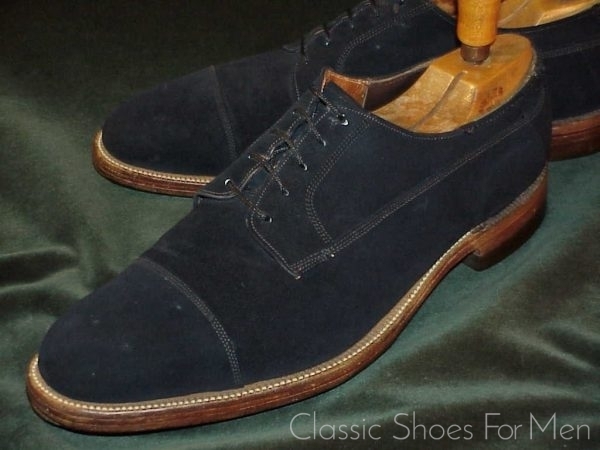 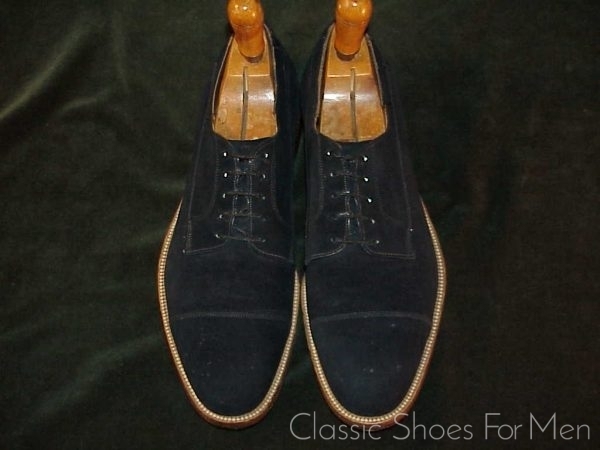 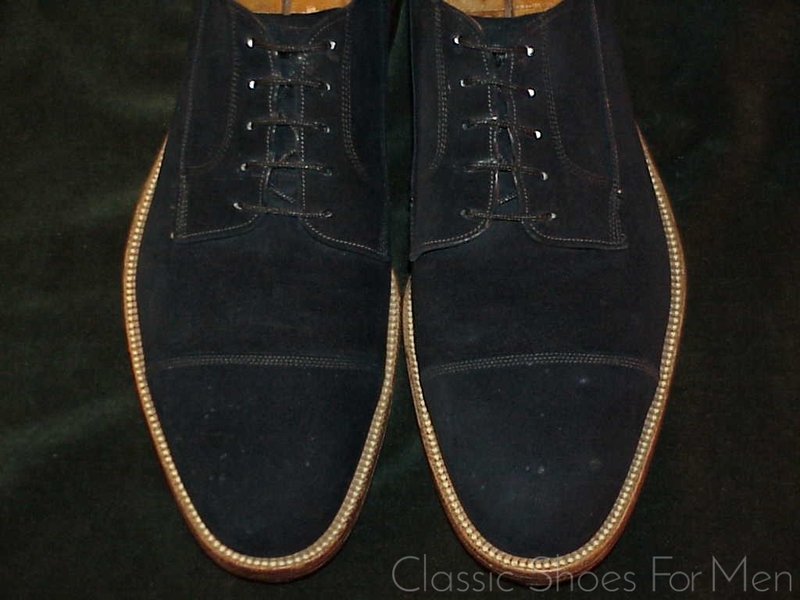 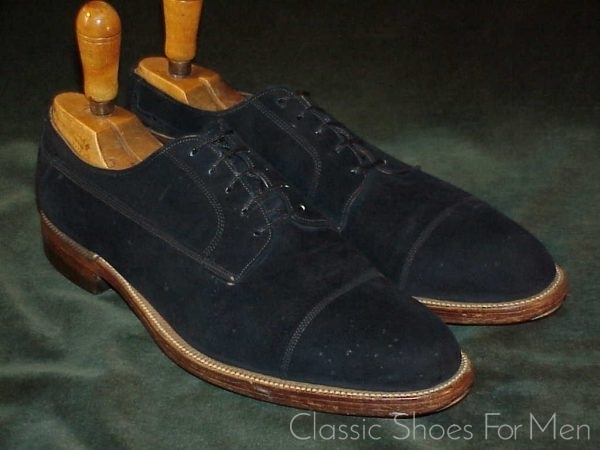 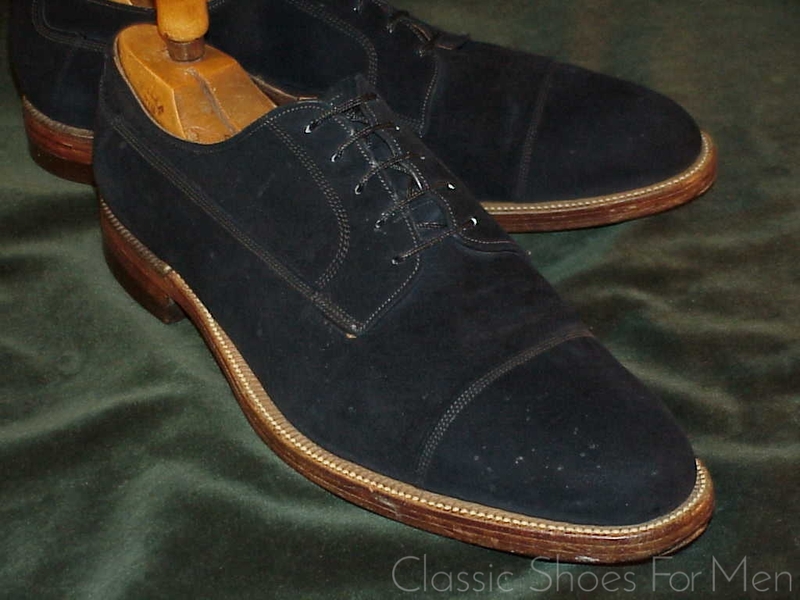 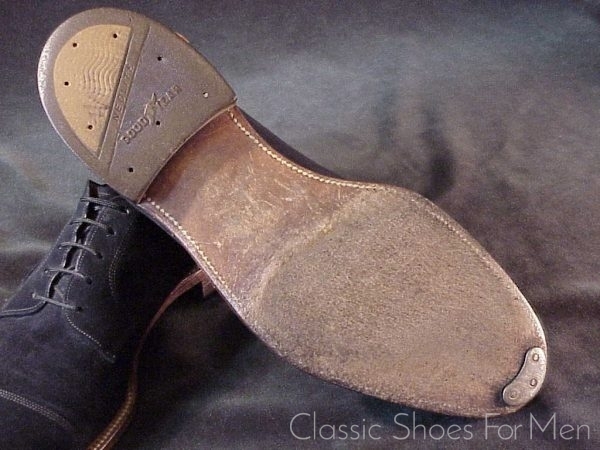 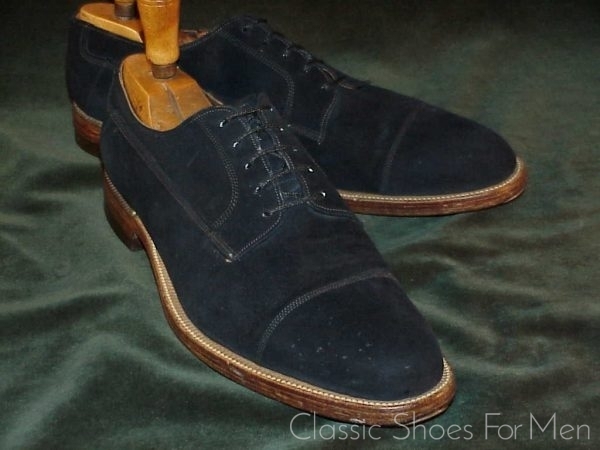 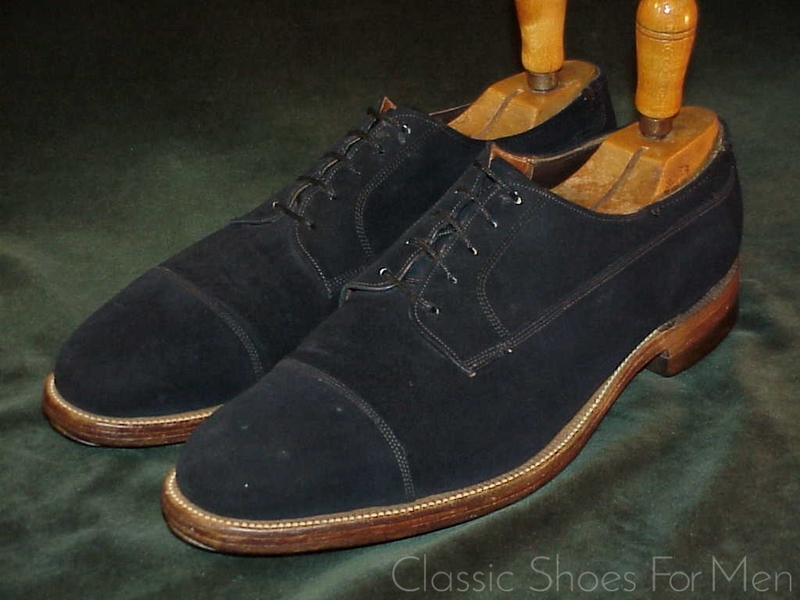 In deepest midnight blue suede, it shows black at night and makes this a charming if unconventional formal shoe…but, a warning!, with your guitar and jeans you may well be mistaken for Elvis on one last tour of the planet before closing time. European 45D (US 11,5D)...(UK 10,5E), for the medium width foot. 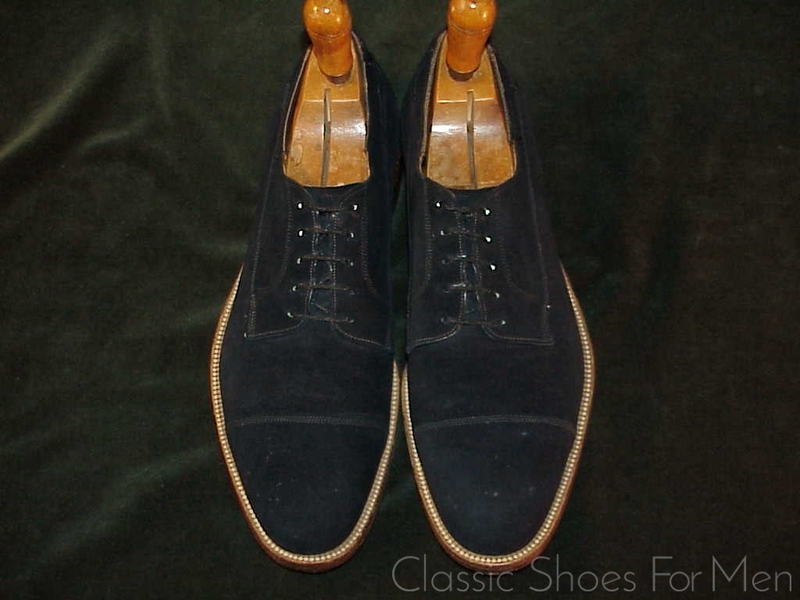 Bottoms original and very lightly worn. 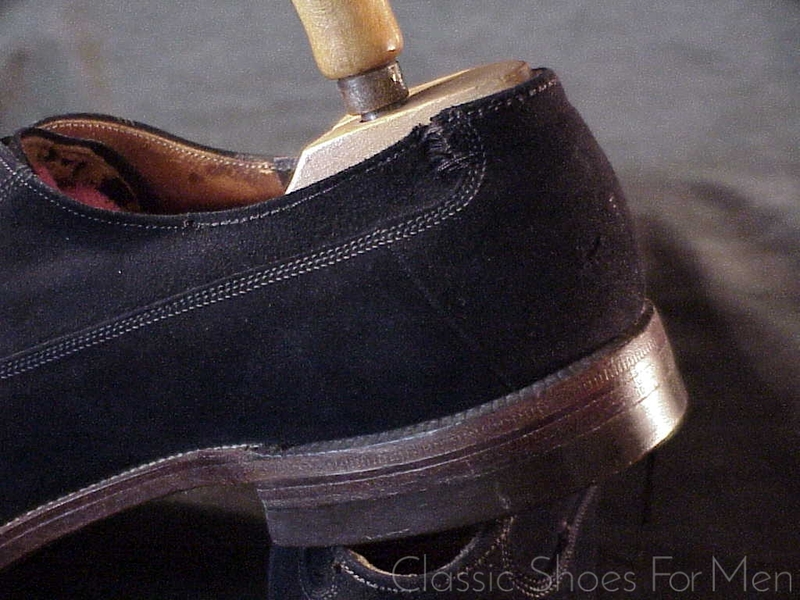 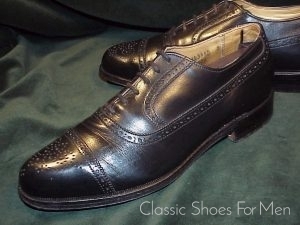 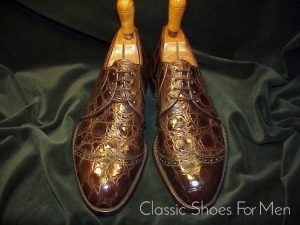 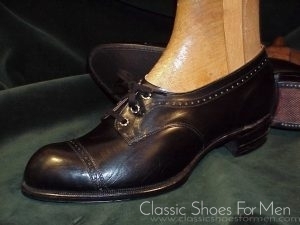 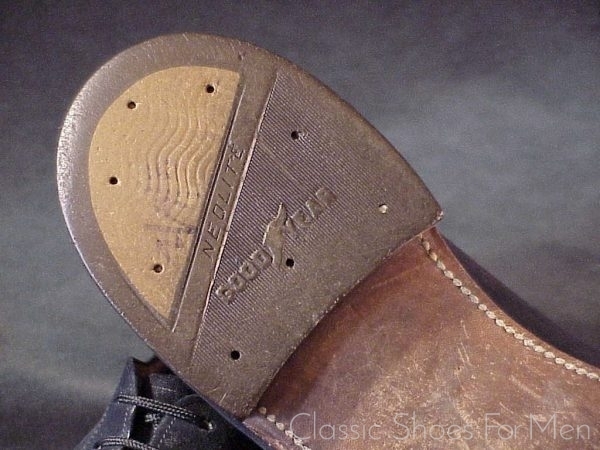 Tops showing tiny trivial blemishes and repairs to the edges toward the heel, nicely reinforced from inside. Si vous êtes intéressé par les plus grandes références dans le domaine de la chaussure de luxe pour homme de fabrication artisanale, par les noms des ateliers les plus traditionnels, Edward Green, Crockett & Jones, Alden, Grenson, John Lobb, Allen Edmonds, Church’s English Shoes, et, en particulier, les exceptionnels – mais en France trop peu connu – anciens bottiers américains FLORSHEIM, FOOTJOY, HANOVER, CORDWAINER, etc.-n’hésitez pas à me consultez. 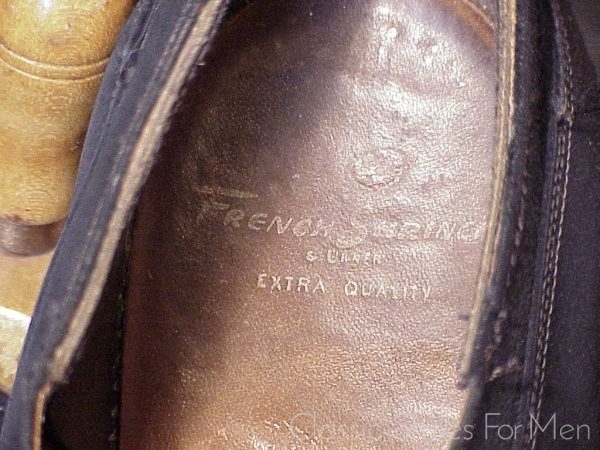 Etant donné que mes textes figurant sont pour la plupart rédigés en anglais ou en allemand, je répondrais volontiers de manière plus détaillée à vos questions en français, en vous demandant de montrer de l’indulgence pour mon français approximatif.